Tents, Popups, Trailers, RV's, Log Cabins, and Winter Storage. Traditional American values, serving the principled public. 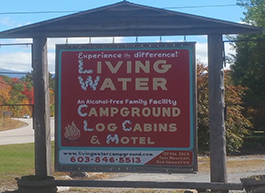 Escape the daily grind and stresses with a relaxing outdoor vacation at Living Water Campground. Our facilities include wooded and river front sights, accommodating tents, pop-ups, trailers, RVs, and cabin rentals, in a setting that is clean, secure, and quiet. Like any other campground, there are rules to follow to make sure that everyone has a great time. We also provide a host of information that pertains to hours, visitors, and trash disposal. Your family will have a good time just being together at our campground. 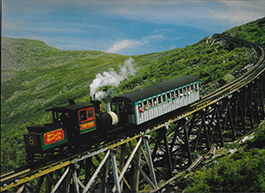 However, there are a lot of nearby attractions that will give you the opportunity to have even more fun. 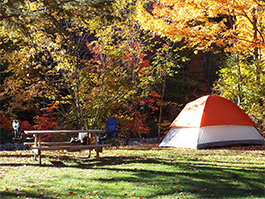 For family recreation that suits the young and the old alike, visit our campground based based in Twin Mountain, New Hampshire, in the town of Carroll. We are a family-oriented facility surrounded by a trout stream and beautiful mountains. We provide a comfortable, pleasant, and secure environment where families like yours can also enjoy the attractions near New Hampshire's White Mountains. While working for the federal government, our owner decided that he'd rather open a campground where he and visitors could be close to nature. To make sure that all of our guests are comfortable, alcohol and pets are not allowed. Additionally, you must use headphones or ear buds to listen to music or radio.